Laura Muir was a deserved winner of the 1500m as Laura Weightman claims bronze and Eilish McColgan powers to 5000m silver on a glittering night at the European Championships. When Scotland and GB’s Laura Muir stormed to victory in the European Athletics Championships 1500m, it was the first outdoor championship title of her career, a fact that surprises many who have followed her increasingly impressive rise up the ranks over the past few years. Her gold medal was Britain’s first in this event, and she did so convincingly, taking the win comfortably from Poland’s Sofia Ennaoui in 4:02.32. Laura Weightman showed her depth of speed and endurance is improving with every championships as she added 1500m bronze to her Commonwealth 5000m bronze from this year’s Gold Coast games, crossing the line in 4:03.75. The gutsy Morpeth Harrier also won 1500m bronze at these championships in 2014, and it’s clear she has much more to give. There was disappointment for Ireland’s Ciara Mageean, however, who fought hard for bronze but was ultimately denied by Weightman, finishing fourth in 4:04.63. The Portaferry star fought so hard, in fact, that she had to interrupt her post-race interview to be sick! 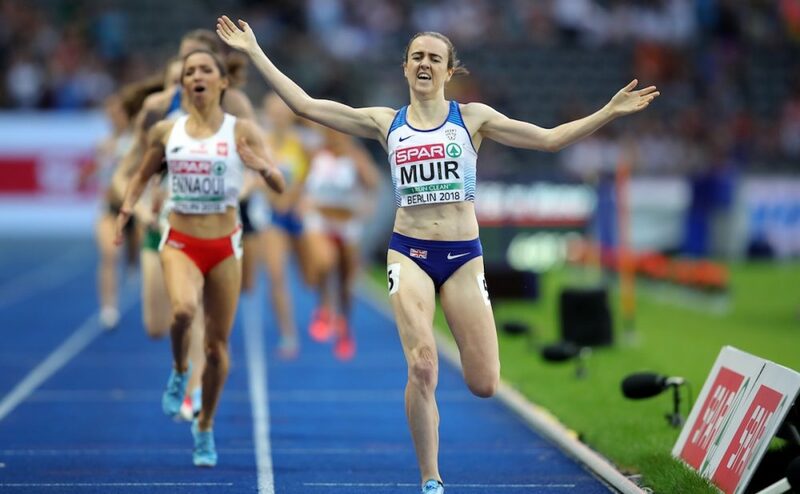 Giddy in victory, Muir was understandably keen to rank her performance as ‘at the top’ of all of achievements – so far, while Weightman was ‘incredibly proud’ of what she’s achieved this year. 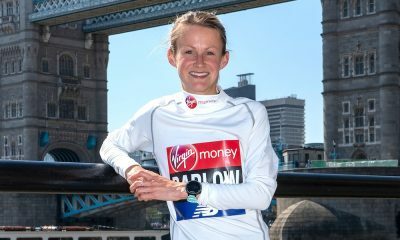 The Steve Cram-coached athlete also tops the British rankings with her Podium 5k course record earlier this year of 15:25. Dundee Hawkhill’s Eilish McColgan was rewarded for her gutsy running when she won her first ever championship medal with silver in the 5000m, while Poole AC’s Melissa Courtney and Aldershot, Farnham & District’s Steph Twell also ran well. 🥈It was a sensational silver medal for @EilishMccolgan at the @EuroAthletics Championships this evening and the delight was clear for all to see. 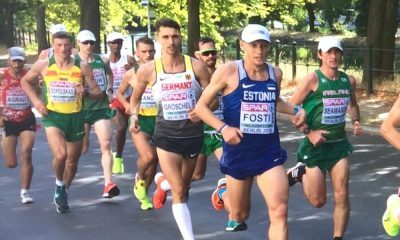 The deceptively slight yet strong McColgan led the race from the off until halfway when the former Kenyan turned Turkish athlete Yasemin Can overtook her at pace. Courtney ran a massive 12 second PB in fifth to run 15:04.75, while Twell’s 15:41.10 earned her tenth place. 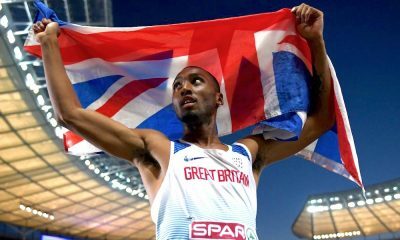 The British women’s and men’s 4x100m teams were on fire when they both won gold in front of roaring crowds in the Berlin stadium. The women’s victory saw excellent runs from Asha Philip, Imani-Lara Lansiquot, Bianca Williams and Dina Asher-Smith to take the win in a world-leading 41.88, while CJ Ujah, Zharnel Hughes, Adam Gemili and Harry Aikines-Aryeetey added a third European 4x100m gold to the team’s collection in successive years, finishing in a superb 37.80. Britain’s Rosie Clarke made her first major championships 3000m steeplechase count when she finished 10th in 9:32.15, less than a second shy of her PB, representing her club Epsom & Ewell in determined style. 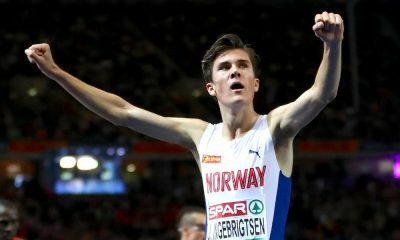 There was also an exciting pole vault competition on the final night of athletics, which saw Sweden’s 18-year-old Armand Duplantis set a world U20 record of 6.05m to take gold ahead of neutral athlete Timur Morgunov’s silver (6.00m) and France’s evergreen Renaud Lavillenie’s bronze (5.95m). Britain’s Adam Hague of Sheffield & Dearne made his championship final debut with a 5.65m PB to finish 10th overall, a fine achievement for the 20 year-old.